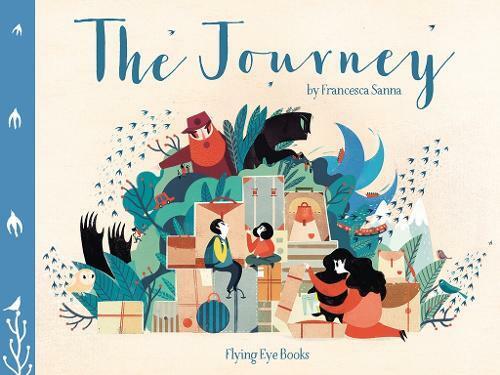 With haunting echoes of the current refugee crisis this beautifully illustrated book explores the unimaginable decisions made as a family leave their home and everything they know to escape the turmoil and tragedy brought by war. This book will stay with you long after the last page is turned. Francesca is an Italian illustrator and graphic designer who moved to Switzerland to follow her dream to work as an illustrator. She graduated in 2015 from the Lucerne School of Art and Design with a Master of Design with focus on Illustration. The Journey is her first picture book. This picture book is beautiful and heartbreaking and hopeful, all wrapped up in one. It depicts the journey of a family fleeing their home country and seeking refuge overseas. With stunning illustrations and simple text, Sanna drew from real stories to create this timely piece. I absolutely cannot emphasise enough how touching and vital this book is, and I would encourage readers of all ages to pick it up and engage in the dialogue it opens up. Reading it sent shivers down my spine. Sanna has created a new classic to be reread over the years. This is an important book with all the weight that that word suggests, and I loved it. Isobel Moore is the Children’s Book Buyer at Readings St Kilda. You Don’t Know Everything, Jilly P!